Firstly, Pirate Wray has died. Pirate was one of my dogs, and the inspiration for many characters within my book and many of my games. He was put to sleep a few days ago, on Monday afternoon (24th September). He was nearly sixteen and a half years old when he died (29th April 2002-24th September 2018). I have not posted in a while. I have news. I have not worked on my games recently (excluding Easter Fun), which I will start getting back into after a couple of weeks. I want to get Poppytail 5 done this year. It has been nearly a year since I started and I have had to do other things in my life instead of making progress on the game. 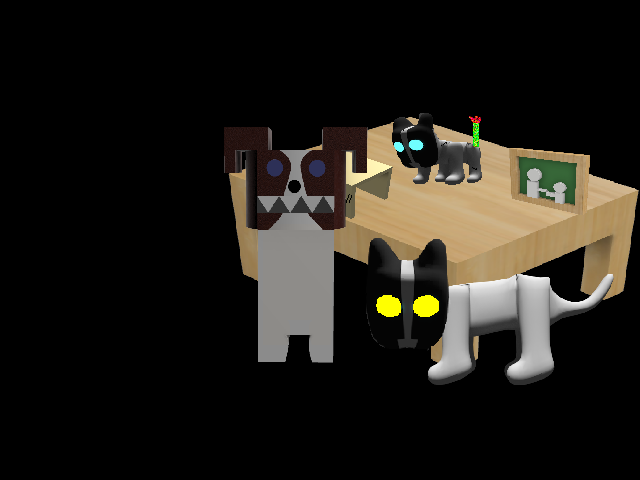 I plan to release the full game on GameJolt by the 24th of December, 2018, or a year after I officially released Poppytail 3. I'm working on Chapter 4 at the moment. I'm thinking of working on some minigames soon. The minigames in PT5 are not exclusive to the new characters. 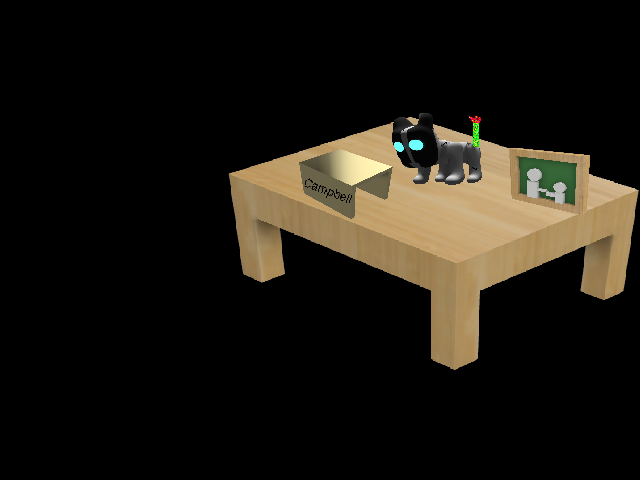 Pink Poppy, Auto, Wicked Easter Bunny and Cheesestick will be getting their own minigames too (to give a few examples). The dates listed above are not final. I'm hoping to get my games done either before or actually on those dates. Let's see how I go. About the AGATH update. It's going to be canon to the Poppytail series. So will One Million. I won't state how they link together. When the Final Version of AGATH and the first version of OM release, you can find the links on your own if you're thinking of getting the games. I want to release the AGATH update after Pixeltail. It may be easier to find the links if one has completed Pixeltail first or at least knows the game's canon storyline. Quick Update: Other than voice acting, Chapter 4 is finally finished (after many weeks of procrastination), Chapter 5 got done in a few days (which I am yet to beat; my PB is around 4pm; didn't see my time after how quickly Vehicle Dummy slammed into me). Currently working on Chapter 6. Chapters 5 and 6 are easy because I know how to program characters to move in room to room cycles like that (except Petal and Binary move in sync). So, in short, 13/25 characters programmed, the next three enemies for Chapter 6 (Rumble, Tumble and The Dog) are simpler modified versions of Jawlock, Nursina, and Exister are easy, and then we get onto the more interesting ones. So far in the game, every time William Brown (the player character) turns around or moves to a new room, all they can see (excluding the text telling them what room they're in, what day it is, and what time it is, APPARITION's timer, the compass, the subtitles and the arrows, as he does not have these literally imprinted in his vision) has been just one image. There's no layering except for layering one 2D image on top of another in one image file/Stencyl animation. Papimannequin (Chapter 7 enemy) will appear in the north side of Your Room. 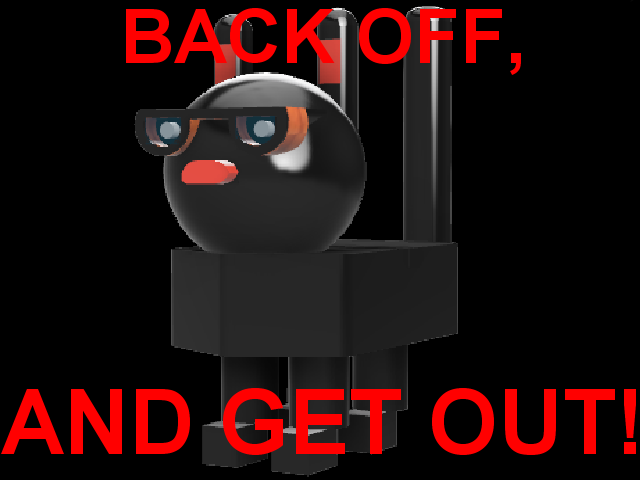 However, there are already so many animations for this space (empty, empty with door selected, Jawlock, Jawlock with door selected, The Dog, The Dog with door selected, APPARITION's jumpscare, Jawlock's jumpscare, The Dog's jumpscare, Shyyon's jumpscare) that it would be highly impractical to do this considering how many memory and storage issues I've had to the point where everything's just shoved in its own atlas and Poppytail 5 is now the only game I have in the Stencyl software (the others are backed up as .STENCYLs). Same goes for Chapter 7's other new enemy, Nope Nope, who is supposed to appear on every single image in the game except in jumpscares or rooms where he is ready to attack. This would make it a pain to program this and it would again be highly impractical to double the game's amount of images all for the sake of adding this one character. I'm going to have to figure out some sort of layering arrangement. No one by ------- Campbell's desk. Jawlock alone by the same desk. Shyyon alone by this desk. Now both of them are together by the same spot. If there were a door behind them, there would be double the animations because of whether the door would be highlighted or not. This is why I want to avoid this; it means less animations in the long run and makes everything more torturous for the player from having to keep turning around, watching out for enemies from all angles. Sorry if this is difficult for anyone to understand. You may have to look at the character list and perhaps play the crappy and old test version. Also, about character modelling. In all of this time, Ennuyeux (I still keep misspelling his name as "Enneyeux") and Summer-Rose still don't have models. 1) Chapter 6 is nearly finished. 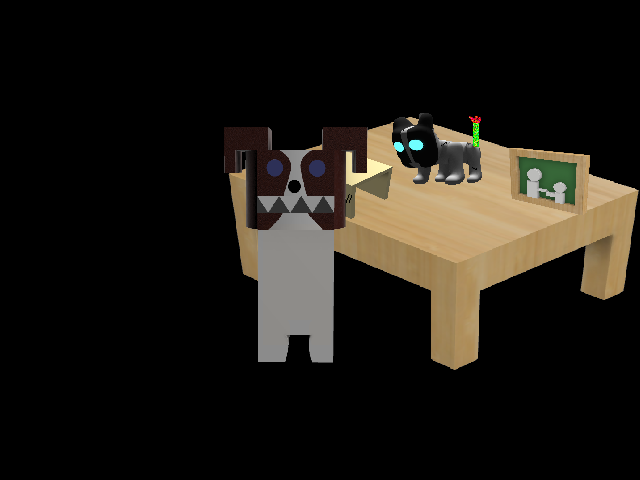 4) I will now also be voicing The Dog. 5) Dingo Cool, Bad Bunny, Skelisa, Cinder and G'day Gecko will be excluded from Chapter 6 for issues with difficulty. 6) The character list has been updated with new images and voice lines. Not much time before the Christmas Eve deadline... I might have to take January to finish the game in the worst-case scenario. Every role now has a voice actor, but some are still not done yet. I still have quite a few characters to do myself. Chapter 6 is nearly done. Except one bug has returned out of nowhere: Skelisa will kill you out of nowhere in any room (and no animation will play because no kill animation for that room exists). So, I think it’s her. I just realised I could draw the jumpscare character attribute on the screen if necessary, but I think I’ve found the problem (especially important since Skelisa isn’t meant to be in Chapter 6. So, by the end of January, I want this and AGATH:FV done. I have changed my mind and have swapped around the deadlines for OM and AGATH:FV. AGATH shouldn’t be too spoiler-y for Pixeltail since it’s now incorporated into the series lore. While PT1-4 and PXT are set in 2017 and 2018, and PT5 is set in 1994, AGATH:FV is now the new earliest game in the series despite being a side game due to its setting in 1989. I also want to say that if anyone still decides to try and look through the lore of the games, I hope you can figure out the controls for the original games. If it helps, you can access any minigame or nightmare from PT1-3 by pressing the N key and the number of the nightmare/minigame. For PT4, you can access minigames from the menu after beating the game normally (and same goes for PT4:SE). N + 7: Run, Turnbull, Run! Also, if you’re playing PT2-4, look out for pictures of the Dizzy character. Minigame entranced will always be nearby. Another quick note: If I do finish both PT5 and AGATH:FV early, I was thinking because some people have trouble playing the game because they haven’t played first person perspective games before, I was thinking of making a top-down 2D version where you get to use arrow keys to move around. I’m also sure it’ll use up less memory because there won’t be 1000 background animations. Thoughts? I feel like giving up on Poppytail 5. I’m seriously considering getting rid of the current version (the one with large images and 3D models) and instead make that top-down 2D version so that the game’s story can still be told. It’s been a year, I’m still on Chapter 7, more issues are coming up and I have no way to finish the game by Christmas Eve. I have two options for this then: continue the one with 3D models or rework it into a 2D version I actually have a chance of finishing. 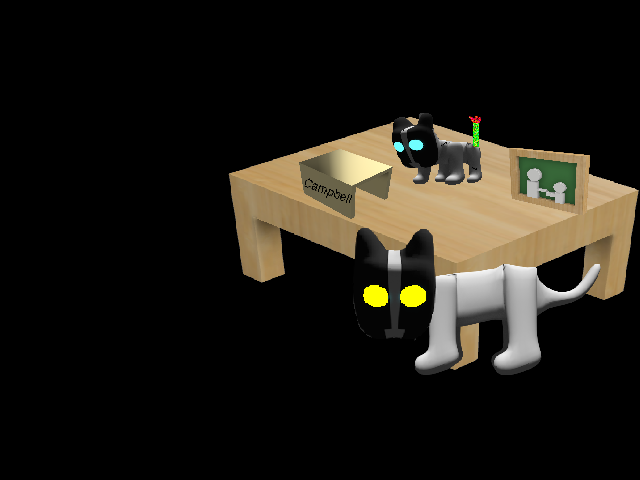 I may upload what I have already onto the Poppytail 5 Test GameJolt page to see what people think. It’s not done by far but another concern is that a lot of test players have found the mechanics of the game confusing due to being in first person. There are so many games and minigames and chapters that I'm totally lost. It seems like you have a lot of projects folded into one mega-project and now the end is so far out of sight that finishing feels hopeless. Maybe that's not right, but that's just my impression reading your past few posts. I don't think giving up is the solution, but it wouldn't hurt to think about what you can scale back on. I noticed you set a deadline of December 24, but how much planning have you put into how you're going to make the deadline? I think Bombini has a lot of good examples of planning in his Space Pirate thread. I've picked up a few good tips myself. If you haven't looked at the planning documents he's shared then I think it'd be good to look through them. Unfortunately, no amount of planning is going to prevent all unexpected issues. Are there any coming up that you don't know how to solve? Poppytail 5: The subject of this, the fifth main game. Pixeltail: The sixth main game, I haven’t touched it in a while. A Game About Trimming Hedges: Final Version: Update to the original AGATH, canon to the story as a prequel (except to most minigames from PT1-PXT). One Million: Small project I haven’t said much about, prequel to PT1. Now, the Chapters I’ve talked about are only for Poppytail 5. There are ten. Right now I’m on #7. Locked in Place: Minigame themed around Jawlock. Hide! : Minigame themed around Shyyon. Crash Test: Minigame themed around Vehicle Dummy. Sibling Rivalry: Minigame themed around Dingo Cool and Bad Bunny. G’day, Mate! : Minigame themed around G’day Gecko. Pattern Creator: Minigame themed around Skelisa. No, that’s not right. I’m about 62.5% of the way through PT5 (rough estimate). Some of the minigames still need work, there are the last four chapters to finish (which will be really easy to do once 7 and 8 are out of the way), and then there’s just polishing and endings (however I’m only doing a Good Ending and Bad Ending for this one). I did have a plan, but not a lot of time to actually get it done. Although hopefully I’ll have more time now because it’s the holidays. I haven’t seen Bombini’s planning documents but I’ll have a look. I’m having a bit of trouble programming the character Nope Nope. Him and Papimannequin are the only two characters who don’t rely on the large background images and are overlayed on everything else. I’m afraid to put anything in Ask a Question because of the large amount of Stencyl code everywhere. I can just manage to navigate through what I need, though. I think the trick is to do a proper planning. Try to list every level with all elements (art, enemies, sound, etc) in an excel sheet for example and do a estimation how much time it takes. Check this with your own skillset. I mark those elements red for example that i am not good at and which will take me there for a lot time. Those "reds" i either cut form the game or pay someone to do it. Now, add to your estimation additionally + 80% time you will need to finish it on top (if you dont have much experience) or + 30% on top (if you yu have experience). I needed to do a lot projects to find my inner balance between "i can manage this" and "i am giving up". Take your time. Take a break. Dont touch the game for a week. If you open it after a week and are 100% excited again, go work on it again. But dont overwhelm yourself. Maybe cut some chapters from the game. A huge help for me in Space Pirate was to cut the game from 60 to 20 levels. It's been four weeks. Four weeks since I've even touched Poppytail 5. I think that switching to a 2D version might be best. I'm thinking I'll release the original game onto GameJolt, and then start working that version into the new one. Still not entirely sure about it, but it might be the easiest option to do it. Thinking of making a version of Chapter 1 as a top-down 2D game. I think this will make everything a lot easier to make than the first person view method. 1) I just leave the game at six chapters and finish from there. 2) I make the last four chapters in 2D in a top-down perspective using the remaining characters; something like one of the original Poppytail games or Pixeltail. I’m thinking of cutting some minigames either way though. This game’ll have six. The other eight I had planned could go into Pixeltail. I’m losing interest in this game. I want to work on other games. AGATH:FV is nearly finished. Pixeltail still needs a crap tonne of work. I’m more interested in working on AGATH:FV, PXT or TPT than Poppytail 5. It’s been about 15 months since I started. I just want to finish. I want to move on with the story. At least PT5 as it is now will add to the story. Anyway. Here’s something a couple of the PT5 monsters have. Links to other human characters. Mainly a few of them are linked to characters from audio recordings. Although I think there are two characters who used to be characters from those audio recordings where their identities aren’t stated anywhere: APPARITION and Twistwitch. When the game is finished, you can try and figure out who they are. Neither of them are Walter Turnbull. Anyway, for Pixeltail, expect APPARITION to play a significant role. He’s about to become one of the most important characters in the storyline. Try to cut as much as you can while still keeping it fun.